So, my mom makes me wear a life jacket when we kayak. It’s weird because I can swim just fine but she insists. I give in easily because I know my mom loves me. Yes, she knows that dogs can swim….well most anyway. And that most dogs are endurance athletes. But….my mom says dogs get tired and dogs can’t judge distance too well. I believe her and recommend that when you take your dog out on the lake or river you should make them wear a life jacket too. 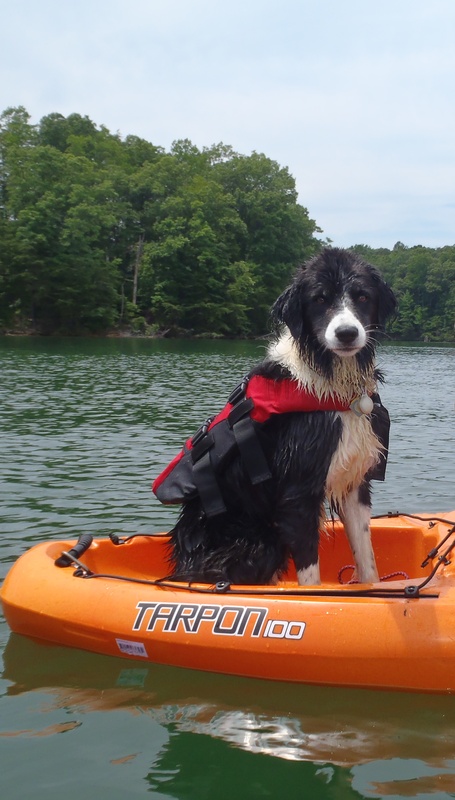 Your dog will not care that he or she is wearing a life jacket. He or she only cares that they are with you and enjoying the day on the water. Please keep your dog safe and buy them a doggie life jacket.